In a pot, heat the oil over medium heat and sauté the onion until it soft and transparent (about 2-3 minutes.) Then add the chopped tomatoes, dried herbs, chipotle chili powder and lower the heat. 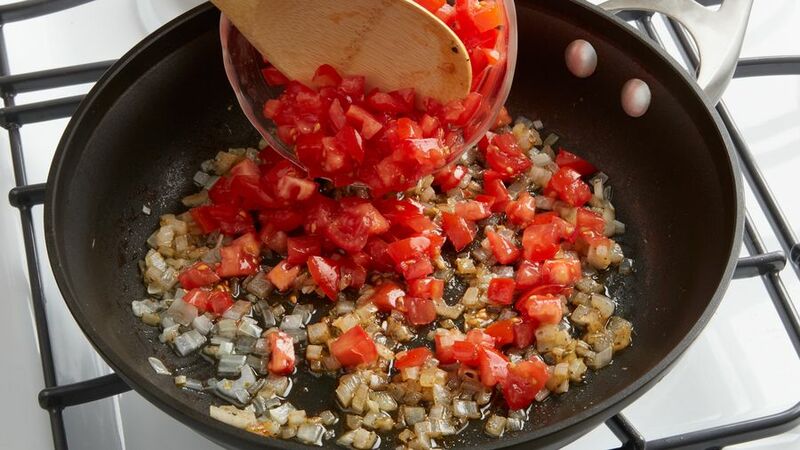 Let the mixture cook until the juice from the tomatoes has evaporated–about five minutes. 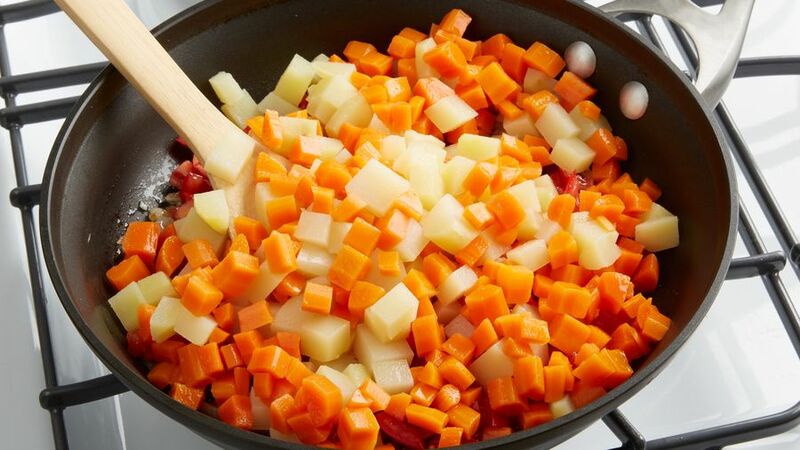 Incorporate the potatoes, carrots, salt and stir constantly until all the ingredients are well heated. Try to not let the potatoes stick to the bottom of the pot. Remove from heat and add the tuna until evenly distributed throughout the mixture. 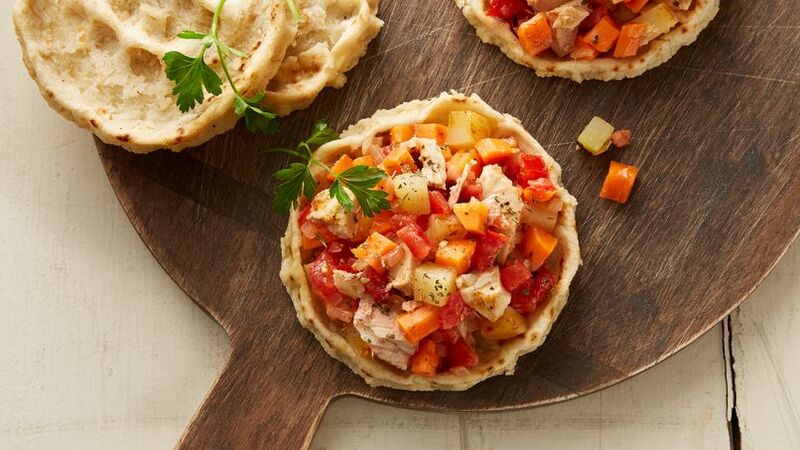 Serve with toast, tortillas, cracker as a sandwich, or fill sopes (corn dough round vessels) with the mixture. Peel, cook and chop the carrots and potatoes in advance, then place in a sealable container inside the refrigerator for later. If you can’t find powdered chipotle, chipotle in adobe sauce also works well. This can be found in most supermarkets in the Latin foods section. In my kitchen, I like to always have a few cans of tuna available. This allows me to quickly prepare a last-minute meal that’s full of sabor. 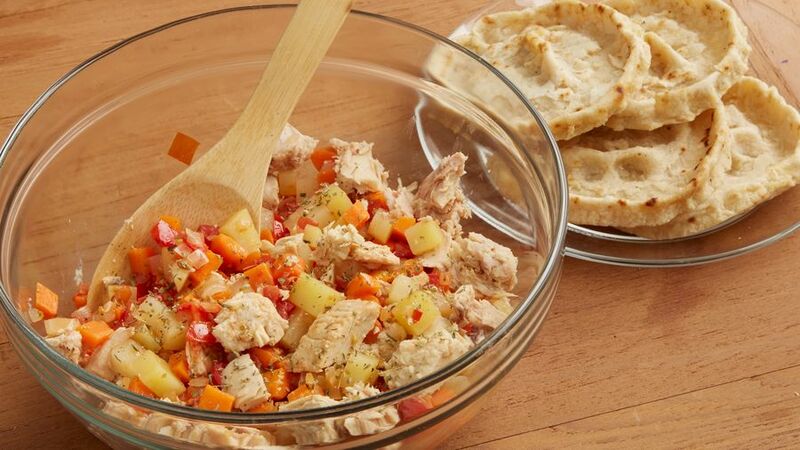 Tuna is very versatile–it can easily be combined with many other ingredients and recipes. I remember that when I was little, my mother frequently prepared tuna salad for us, as well as a juicy tuna with tomato sauce. The dish I’m presenting today is inspired by my mother’s preparation with a few modifications; I’ve made this recipe a bit drier to accompany more dishes, and have added potatoes, carrots and peas to provide a more vegetable-rich meal. A little spice is a must in this dish, but on this occasion I didn’t use serrano peppers, which are standard in Mexican cooking. I decided to use a toque of chipotle chili pepper powder for a slightly different taste. I hope you enjoy it!